When carrying a concealed weapon, the entire carry system must be considered. You need to think about not only the firearm (which we won't cover here), but also the belt, the holster, and any required support equipment such as reloads, tactical light, knife, handcuffs, and OC. You even need to think about the clothing you will wear to conceal your weapons and gear. And remember—except in some undercover scenarios—you need your badge and ID so that you can let other officers and the bad guys know that you are a cop. The belt provides a solid mounting platform for the holster and support equipment. Belts designed for appearance often are made with thinner and weaker materials that cannot support the weight of a holstered weapon for all-day wear. So a quality leather or synthetic gunbelt is a good investment. A gunbelt should not flex excessively and should fit comfortably. When selecting belt length consider the addition of the concealed weapon holster if it is carried under the belt. Most holsters are designed to work with a certain width of belt and different pants have different sized belt loops. Designs that do not look like a gunbelt will offer improved concealment. Some manufacturers offer belts that taper to a narrower dress belt width at the front with a wider section that goes under a covering garment to better mount the holster. There are some simple ways to assess a belt, including the "pinch test" and the "bend test." To pinch test, place your fingers at the top and bottom edges of the belt and try to pinch the belt together. A good gunbelt should have some flexing but should not collapse and fold into itself. To bend test, hold the belt with a few inches of length between your hands and bend it into itself to see if you can fold it over. A good gunbelt should have some flexibility, but should not loosely flop onto itself. A belt that can be pinched or bent too much will not provide a solid mount for a holster and the weapon may not be where you thought it would or should be when you need it. Belts that use weak hardware such as snaps that pop out when weight is put on the belt will fail with the weight of the weapon and support equipment. Oh, and don't forget that the belt should be comfortable. A belt that is painful to wear will make daylong carry unpleasant. 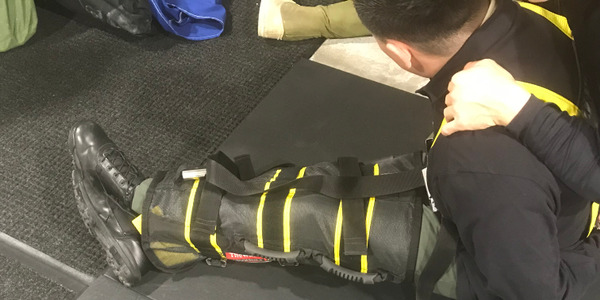 Most officers will be able to use a conventional holster system that allows them to carry handgun and support equipment in an accessible manner with adequate concealment. Since you are accustomed to accessing your weapon mounted at belt level on your dominant hand side, in general it is easiest to select concealed equipment that is carried in a similar manner. Under stress you will revert to your training. Unfortunately, in certain situations, you may need to use a deeper concealment alternative that trades off speed and ease of access. If that's the case, train to draw from this level of concealment before you have to do it under stress. There are other designs that are more specialized that may offer different concealment options but would also require additional training. There is no one perfect solution, and you may find you need a selection of holsters to support different applications. Each design has benefits and drawbacks that must be assessed by the user. The most common design and often most comfortable is the OWB type. 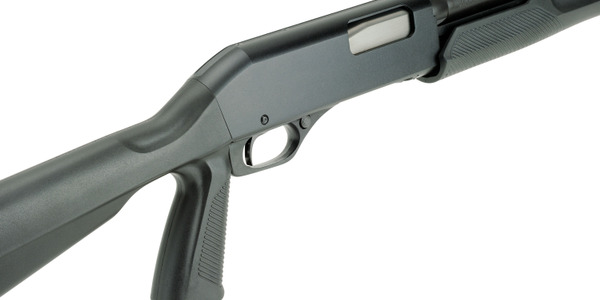 Users who must remove their weapon on a regular basis may find a paddle-mounted OWB beneficial. For those requiring slightly better concealment the IWB design allows less of the holster to be exposed outside the waistband, but some may find the additional volume inside the waistband uncomfortable. Tuckable IWB designs offer an even deeper concealment option. The SOB and MOB designs are not recommended. They are uncomfortable when seated, may cause injury to the spine if you fall, and may have a dangerous drawstroke. When buying or ordering a holster, you should have some basic information at hand for the manufacturer to ensure you get the right equipment. It is important to know: exact make, model, and caliber of the weapon; any special external features such as light rails, large adjustable sights, ambidextrous safety. You also want to let them know whether you prefer right- or left-hand carry and where you prefer to carry the holster on your hip, behind your hip, in front of your hip. And be sure to mention the preferred cant and carry height, the belt width, and any desired special features such as retention device, sweat flap, and tension screws. Holsters are available in natural materials such as cowhide, horsehide, and sharkskin; and synthetics such as nylon, plastics, and synthetic leather. Traditionally holsters were made of leather but polymer materials are becoming very popular. Both leather and polymers are good materials, each with benefits and drawbacks. Leather offers a comfortable, very sturdy material that can be shaped to fit the handgun and offers good friction retention. But leather holsters also absorb moisture during use, can be scratched and torn (much like leather boots), and need to be maintained. 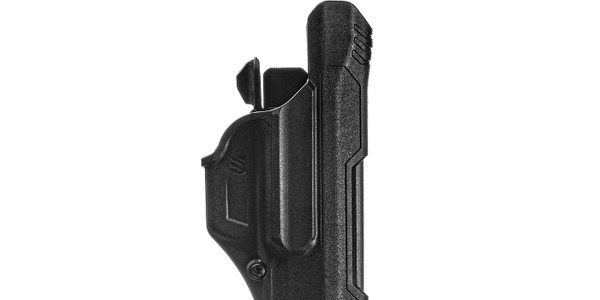 Polymer holsters offer low cost, less absorption of moisture, and a number of unique designs. Some polymer holsters mold the materials into thin shapes tailored to specific handgun models, which offer good retention but have a distinct sound when drawing or holstering. Many users find polymer holsters very fast for the draw but still offering good retention. There are also several manufacturers producing combinations of traditional leather and modern polymers to offer new options for retention, speed of draw, and comfort. Polymer materials also need to be cleaned and some can become brittle in extremely cold temperatures. Good holsters are designed to fit an exact make and model of pistol. Less effective holsters come in generic sizes and may or may not fit a specific handgun. When looking at any holster for concealed or even duty carry, the handgun that it is designed for should be visible in the shaping of the holster material. 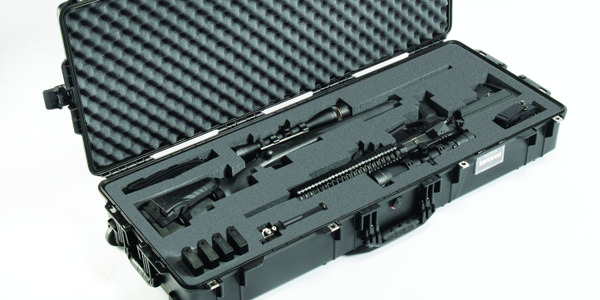 A good secure fit for the specific weapon provides an optimum carry platform. All holster designs should allow full access to the handgun's grip, protect the trigger and any levers and buttons from inadvertent activation, provide a safe and consistent positioning for the drawstroke, and provide retention to keep the gun from falling out and to protect from a gun grab. Many holster designs are concealable versions of open carry designs but some are optimized for concealment. Consideration must also be given to the ability to reholster. With open carry designs, you should be able to draw and reholster single-handed without needing to look at the holster. Some concealed carry designs provide this functionality but other designs may require more complex reholstering. One of the most critical design features is comfort for all-day wear. The best way to test a design is to wear it for a few days. A range of different holster options may offer the best solution for different operating environments and missions with different levels of concealment. You may operate in a range of environments from urban to rural, in fair or foul weather, riding inside a vehicle or walking on a city street or strolling down a beach. So you may wear a variety of clothing, ranging from a business suit to casual beach attire if needed to fit into the environment. A trench coat can conceal weapons very easily but would stand out on a sunny beach in July. The common belt-mounted holsters can be comfortably carried with most attire with the addition of a covering garment. A sportscoat, sweatshirt, or loose shirt worn untucked can conceal a handgun from casual observation. With a tuckable holster, a tucked in shirt can provide concealment. Materials that are a bit heavier and with a pattern will help avoid bunching up over the grip and conceal the shape of the handgun somewhat better. Ensuring the covering garment does not fly open or ride up and flash the weapon is very important. The best way to learn what works is to test and train with the equipment and attire you plan to use in your operating environment. David Narkevicius is a founding member and a senior instructor with the Personal Security Institute. 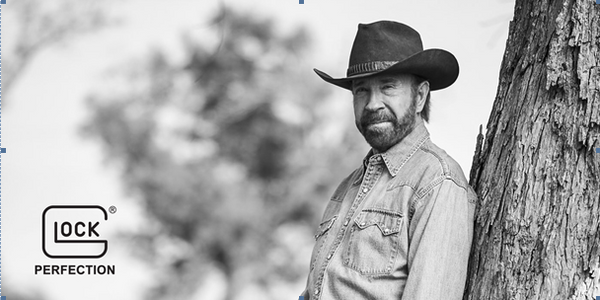 He's certified as a Concealed Carry Pistol Instructor by SigArms Academy and serves as a member of the TREXPO Advisory Board.